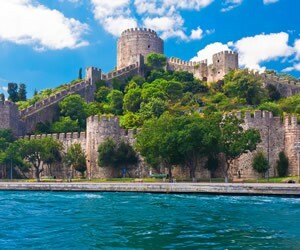 Sultan Mehmed II built the impressive fortress towering over the Bosphorus in less than five months in the year 1452 as part of his strategy to conquer Constantinople. It is positioned across from the Anatolian Castle on the Asian shore, another fortress built by the Ottomans some sixty years earlier. Upon completion the Ottoman forces were able to control sea traffic on the strait and cut off Constantinople from any aid .. 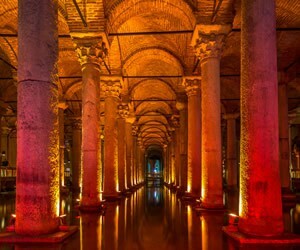 Built in the 6th century by Byzantine emperor Justinian, the cathedral-sized underground water reservoir is one of Istanbul’s most popular and probably most eerie sights, inhabited by goldfishes dwelling in permanent half-light between ancient pillars. Although several other cisterns that been excavated, the Yerebatan Sarnıcı (Sunken Cistern) is one of the largest and most extensively restored structure of its kind in ..
© 2015 ARMAGGAN All right reserved.